Step 1: Choose the best website hosting platform. Before you start worrying about color schemes and domain names you have to first decide what platform you are going to build your website with. The objective of this guide is to give to you an easy guide to building your first website regardless of what you choose to start with; well almost all of the available services out in the world today should incorporate basically the same principles. What do I mean by a "platform"? Back in the days creating a website required prior knowledge of fancy codes (prerequisites: HTML, CSS and even Flash) and they require a great amount of investment in time to learn and were very challenging to master. HOLD IT! Today much of it has changed and the past has contributed to much of what is today's conception that creating a website from scratch is difficult or requires a lot of coding and design skills - but rest assured that is no longer true!! IN 2015, there have been a plethora of content management systems (CMS) like WordPress that have been making website creation accessible to almost anyone who have an interest to do so. A CMS is a user-friendly platform for building websites and managing your own online content, instead of using a bunch of complicated HTML pages, constructed using pure code. Amongst the most popular website building platforms are Wordpress (50.07%), Drupal (17.07%), and Joomla (6.44%). Just from those you can see that half of the internet is running on WordPress. FREE. There isn't any other reason that beats that! The other part to it is WordPress is beginner-friendly, powerful, mobile-friendly, and a massive support community. There are others too such as Drupal which is popular with web developers and experienced coders but comes with a steep learning curve that makes it a terrible experience for beginners, and Joomla which still requires a little bit of technical coding to make it work the way you want, but this works fantastic for online stores. For beginners, WordPress is a good place to start. and in Step 3 you will be guided through a step by step process to install and customize a WordPress website. Website Hosting for your website. As you are already aware the WordPress platform itself is free, but a domain name and hosting will cost you a fee. For a more targeted approach to your Malaysian SME business obtaining a www.yourname.com is relatively inexpensive and should cost you from RM55 onwards a year depending on the availability of the domain name. Having your own hosting will ensure that your website loads quickly and won't go down for hours at a time (this is really important for everyone who visits your pages). Where to get a domain name and hosting. You can get your domain name from here and hosting from here. It is affordable, has good customer service and comes with some good deals. When you get a domain name you will also get a personal email account(s): you@yourname.com which is more professional sounding than a generic Gmail or Yahoo Address. 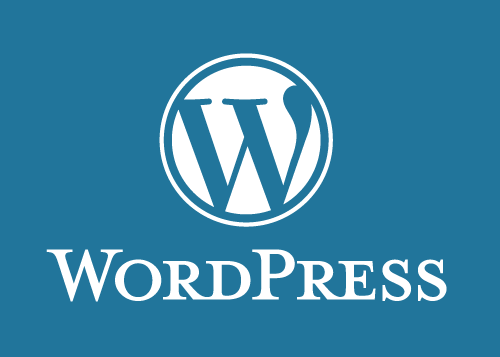 Step 3: Set up your WordPress Website. Once you have setup your domain name and hosting you should be well on your way. Now is the time to get your website up and running. The first thing you will need to do is install WordPress to your domain. Now open the wp-config.php (with notepad for example) and fill the following lines: (1) define ('DB_NAME','database_name_here'); - Database name (if you don't know it ask this from your hosting support), (2) define ('DB_USER', 'username_here'); - Your hosting username, (3) define ('DB_PASSWORD','password_here'; - Your hosting password. After you have filled the gaps, save the file. Now log into your hosting ftp (download FileZilla for that). The FTP address is usually ftp.yourdomain.com, username and password are the same that you used to register your host. If there is any file name "index" - delete it. After that upload all the files from your WordPress folder to your FTP server. (You should be able to use "drag n drop" function in FileZilla. You should see a form and fill it in and you are ready! This is why you need a theme. Go to your name.com/wp-admin and you should be able to find over 1500 free themes, along the side bar on the left for "Appearance" and then "Themes". If you want something more professional you could find a professional website designer or head over to ThemeForest.net where there is a really big library of themes to choose from with varying costs! But before you do that take time to browse free themes as they are very professional. IMPORTANT: Changing themes won't delete your previous posts, pages and content. You can change themes as often as you want without having to worry about losing what you have created previously. How do you add content and create new pages? Easy just look along the sidebar in the WordPress Dashboard for "Pages" > "Add New" and once you have clicked on it you will find a screen that looks a lot like Microsoft Word. Add text, images and more to build the page you want and then save it when you are done. Adding pages is similar to adding new postings. Click "Appearance" > "Menus" in the sidebar of the WordPress Dashboard and find the page you have created and add it to the list by clicking the checkbox next to it and then "Add to Menu". Some people have frustrations where they say that their frustrated that their home page looks like a blog post. You can fix that by making your home page "static:. A static page is a page that doesn't change as the name implies, and unlike a blog where the first few new articles show up at the top every time, a "static" page will show the same content overtime someone comes to the site - very similar to a home page you have designed. Go to "Settings" > "Reading" and choose a static page that you have created. "Front Page" denotes your home page, "Posts Page" is the front page of your blog (if your entire site isn't a blog). If you don't choose a static page on your own, WordPress will take your latest posts and start showing them on your homepage. "Plugins" are extensions that are built to expand WordPress capabilities, adding features and functions to your sites. Basically shortcuts to add to your website without having to build the feature from scratch. How to start installing a new plugin? Go to "Plugins" > "Add New" and simply start searching. There are over 25,000 different free plugins so you have got a lot to choose from!. Installation is easy - once you find a plugin you like just click "Install". Congratulations - you are ready to launch! If you have followed the steps in this guide, you should now have a fully-functional WordPress website! Share this page if you like it and if you have any issues leave a comment and I will try to solve them for you!